I've been reading your blog for several weeks. Had to comment today b/c this verse was a big part of the sermon I heard yesterday. (We've been doing a series on the Ten Commandments and yesterday was the 10th - Thou Shalt Not Covet.) 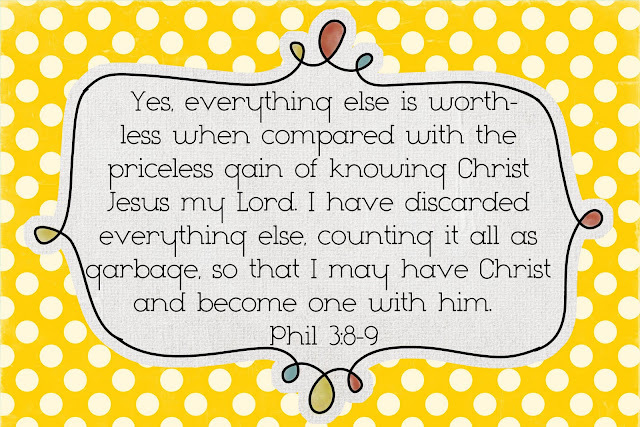 This verse spoke to me - what I have (and what I do not have) count as rubbish compared to knowing Christ. Really puts it in perspective. Yes, I count it all joy! this is absolutely beautiful! 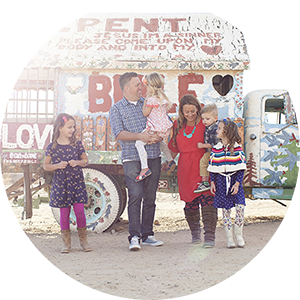 Just found your lovely blog and cannot wait to read more! I read this right after reading your Bugle post and had to laugh at the truth: Even bugles don't compare to Christ.